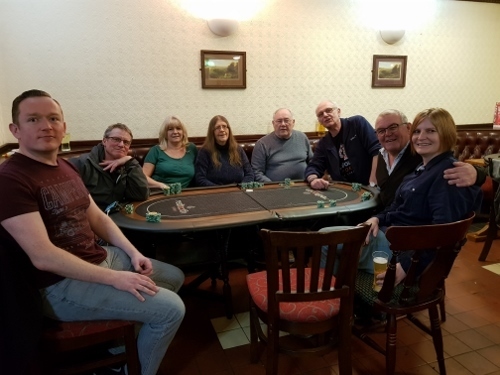 An LPPL group trip to Malta including return UK flights, at least 3 nights shared accommodation AND buyin to the Malta National Amateur Poker Championship. An LPPL group visit to a National Championship poker event with event buyin and overnight accommodation. Entry to an APAT National Championship Main Event. Sunday 24th March sees the Dec/Jan/Feb 18/19 Midlands Leaderboard (Area Final). I will again be your TD for the day. As per normal I plan to be at the Venue around Midday to get the tables set up then registration will open. Registration will close at 12.45 prompt. Once Registration is closed, The seat draw will then be done using, The Tournament Director Software. This should then allow plenty of time to get everyone seated and start the tournament on time at 1pm. As only 3 Venue Champion places have been claimed, ALL listed reserves below are guaranteed a seat should they wish to play. Qualifying List and starting stacks. Congratulations once again to Dan Tyler for winning The Coach House Final, his 4th Area Final win. 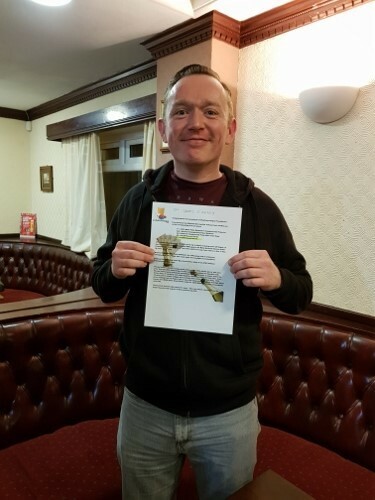 Congratulations also to Kevin Morris for winning Top Dog for the 5th time which gets him the Silver Medal and an automatic place in the Midlands Interleague 15 Team. Congrats also to Kev for his 5th place finish in the Festival Main Event which on any other year would have gained him the lime light. Festival of Pub Poker 2019. 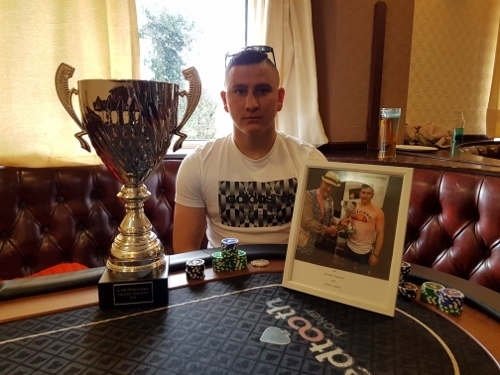 Massive Congratulations must go to Viktors 'BetVictor' Kursitis for becoming the first ever Midlands player to become National LPPL Champion, what a fantastic result. 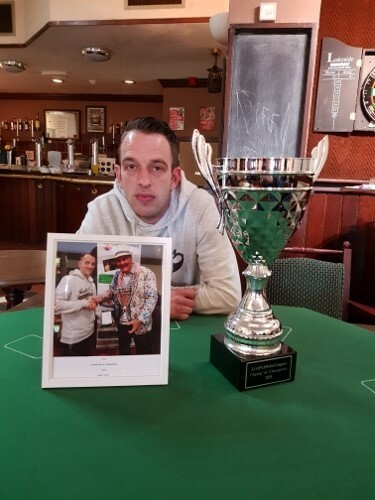 More massive Congratulations to Dan Tyler on following his Area Final win up by making it a Midlands double by winning The Champion of Champions tournament, yet another fantastic result . Viktors Kursitis and Kelly Hunting both netting Las Vegas 2020 packages. Steve Timmis and Patrick Hunting winning their places into the Midlands Interleague 15 Team..
Well that’s it for now, see you all Sunday where as well as the prizes, there are two places in the Interleague 15 Team up for grabs. our New Midlands LPPL Champion. Congratulations also to 2nd place Stephanie Winder who played solidly all day. 5th place James O'Grady playing in only his 2nd Area Final. Hi Everyone. I am Sorry for delay in putting this together, particularly to all the winning players on the day, but as I am sure most of you know by now this last few weeks have been very difficult for me personally, so thank you for your patience. Sunday March 24th saw the latest Midlands Area Final at Kings Oak in Birmingham. 32 players made it to the start to contest for Dan Tyler’s crown and unlike most Final’s we have had in the past there was no cagey start this time. It was all action from the off with some big bad beats and coolers occurring meaning we lost quite a few players before first break, and If my memory serves me correctly (as I was out of the room at the time being a waiter), had an Ace not dropped on the very first flop on Table 1 then we may well have lost Ashley Chilton who bailed out with is K K which I think was taking on A A so Ash did well just to lose half his stack. 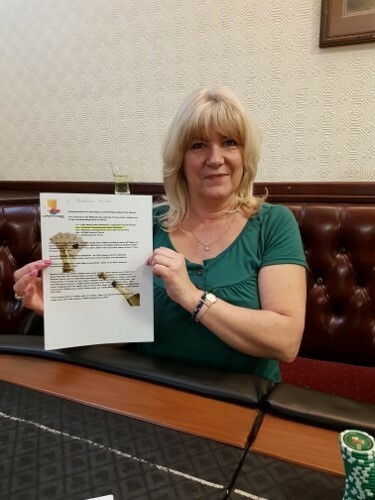 As mentioned above I missed a lot of the early action doing my other Job for the day, but I did witness Alison Awome flop a set of 7’s against Stuart Challinton’s flush draw which had Alison All in. The turn gave Stuart the flush but the board paired on the river to give Alison a nice double up. 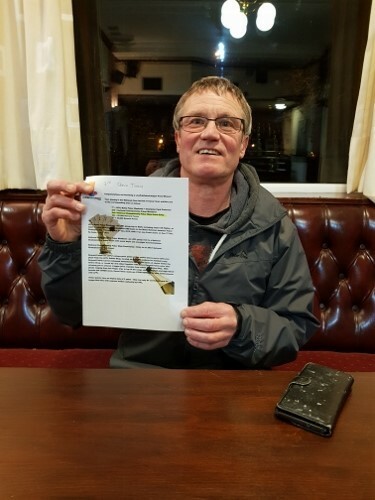 Our first casualty was Simon Duff and he was soon in good Company with Ashley Chilton, IL 15 Captain Stuart Challinton and also Defending Champion (Champion of Champions) Dan Tyler following him out and by First Break we were a record 8 players down. After Break play settled down a bit and we only lost a further 3 players before main food break, Wayne Groves, the very unlucky Jo O Mahony and last time runner up Paul “Alfie” Guise and at that stage it was National LPPL Champion Viktors Kursitis leading the way from Steve Timmis and Neil Inwood, and both James Whipp and James O ‘Grady needing a surge to stay in. 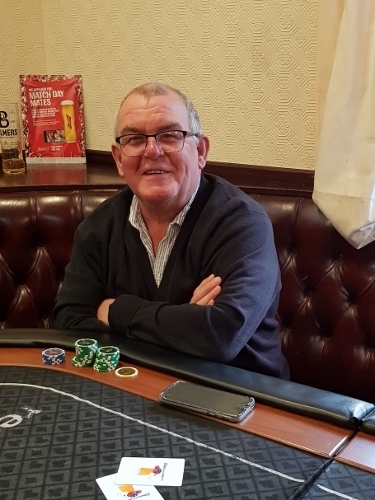 In the run up to Final Table we saw a big change in fortunes for both chip leader Viktors Kursitis and 19th place James O’Grady after James got a treble up, but James Whipp and Liz Winder weren’t to last much longer. 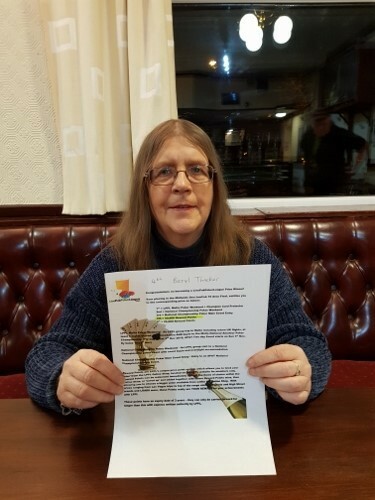 Vicky Lanchester (A K ) then got very unlucky after calling Kev Morris all in shove with (A 10) with a 10 coming on the flop to eliminate her in 14th place. of Stephanie Winder and safe on the flop, but an Ace on the turn and the river sent Jim out in 10th place. We then reached Final Table bubble and this time the victim was Viktors who since break had gone into freefall. It’s not very often Viktors fails to make Final Table but unfortunately this time it wasn’t to be his day. 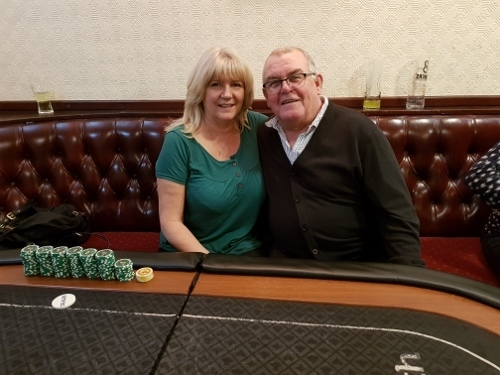 So as Final Table arrived we had a new leader and flying the flag for the Winder Family we had Stephanie who was in great shape 13K above her nearest challenger Kev Morris, but to be fair any one of the 8 remaining players had enough chips to mount a challenge for the title. 7 on the flop and a paired board for James sealed Bill’s fate. Another Final Table for Anne though. Board ran 5 2 10 10 A which left Neil as our prize bubble. Well done to James in only his 2nd Final and Top Brummie on the day. Yet another prize for Steve the machine. So both hit a King on flop but Steve’s rivered Jack for “two pair” also gave Stephanie the Nut Straight and we were down to Heads Up. So at Heads Up we had 5 time “ Top Dog” winner Kevin Morris versus Stephanie Winder with chip stacks as. Kevin moved All In to which Stephanie folded putting Kevin slightly ahead. to stay in the Tournament but a (6) followed by a (3) was not what she was looking for. A brilliant effort by Stephanie, Very Unlucky to lose that way. 1. 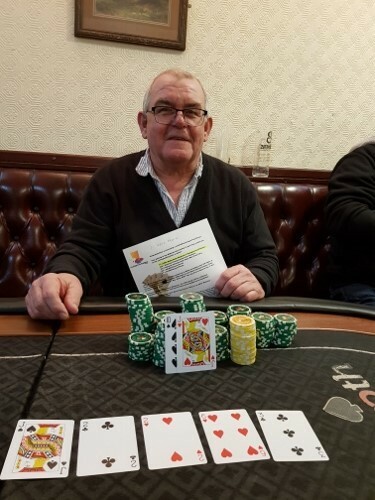 Kevin Morris (Wins an LPPL at Malta Poker Weekend + Midlands Interleague 15 Team Place. Finally as always very many thanks to Jackie and Partner/Hubby? and her Staff for looking after us all day, and for the very nice buffet that they provided for us. Thanks to Alfie and The “Cons Club” for borrowing me their two table tops. Thanks to James Whipp, Bery Thacker and all that helped me get the room and tables ready pre Game. To our Final table dealers James Whipp and Neil Inwood, thank you. 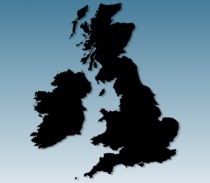 So that’s it till June, when we will meet at The Grange.